iBeacon – The Future of Retail? Smartphones are changing the retail landscape. They help us research, compare, and purchase products not just online, but also in stores. To be precise, 84% of smartphone shoppers use their phones while in a physical store. 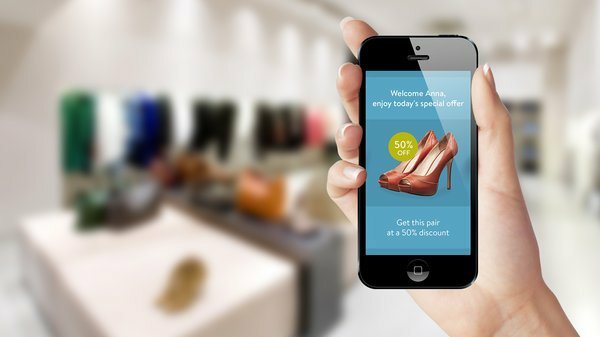 Apple has already jumped on this opportunity with iBeacon, its new technology presented as the hot new multichannel device for retail operation. Is this enthusiasm justified, is iBeacon going to change the way people shop? iBeacon is quite simple: it uses Bluetooth Low Energy (or Smart Bluetooth) to accurately determine your location, and can push your information through an app if you are closer than 150 ft from the beacon device. Don’t be confused: Apple hasn’t manufactured any physical beacon; iBeacon is not a device but a technology built into the iOS7 mobile operating system, so technically your iPhone is a beacon. Third parties like Paypal, Qualcomm and Estimote are doing their own devices that can send iBeacon messages to Apple devices. Why would retailers and shoppers use it? Push and targeted marketing: beacons allow marketers to send you personalized push notifications with promotions and coupons when you enter the store and walk past product stands, like Macy’s. They could use the customer’s purchase history and generate favorite items to come up with product-specific offers when they approach that item on the shelf. Analytics and Big Data: retailers will be able to tell how much time customers spend in each part of the store, how they navigate the store, what are their microlocations, and what they are looking at. Offline payments: iBeacon enables any consumer to purchase with a completely contactless payment system. It is cheap: small sensors are between $5 and $20 each, and will probably become even cheaper. We will probably see in the next few months if iBeacon will change the retail landscape, but one thing is sure: Google seems to believe in it as they recently announced being working on a “Nearby” feature for Android phones that will be similar to iBeacon’s technology.